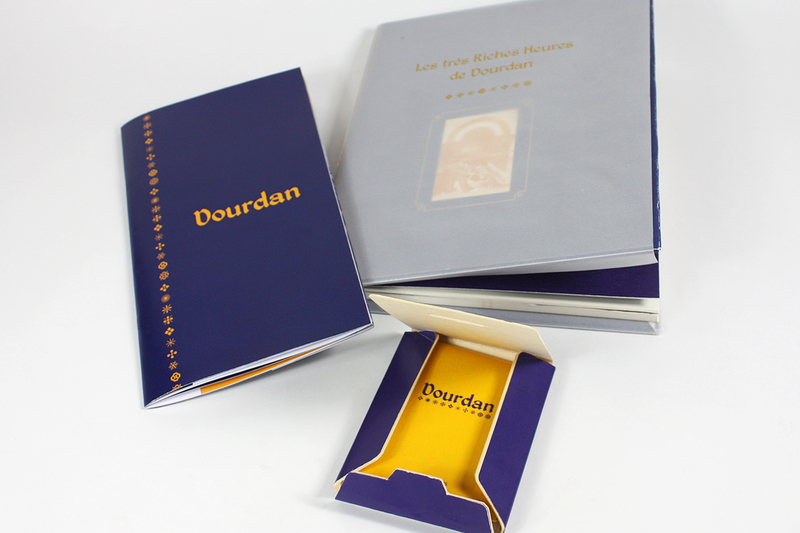 As a highly preserved historical town in the architectural heritage, Dourdan is a great example of a tradition anchored into modern culture. The exhibition “Les Très Riches Heures de Dourdan” is an innovative way to look at the Middle Ages with fresh eyes.On the nights of July, spectators will have the pleasure to admire the miniatures of “ Les Très Riches Heures du Duc de Berry ”, which will be projected on sensitive places of the touristic itinerary. 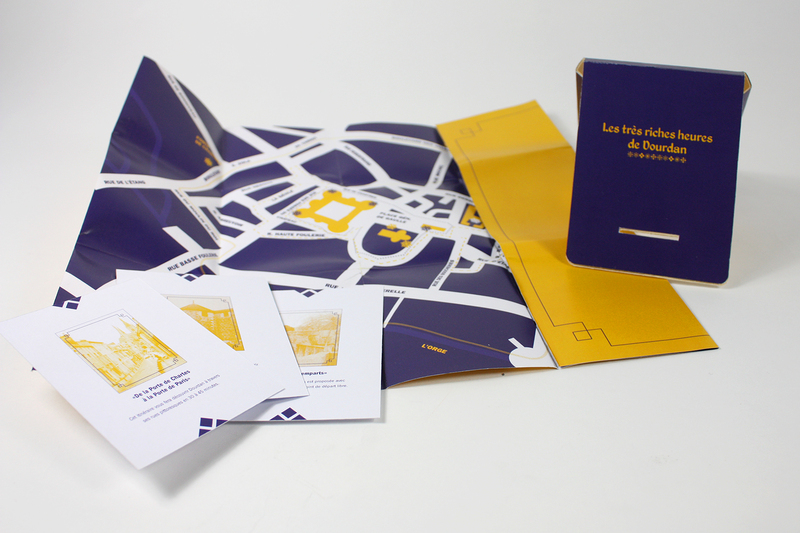 Conception of a book explaining the miniatures and the itinerary, a brochure presenting Dourdan and a circuit kit with a map and itinerary cards.